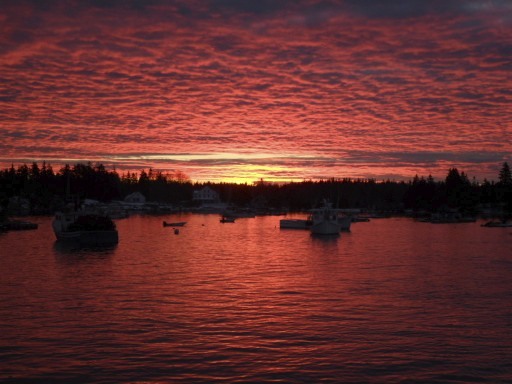 We headed to the mainland today, and as the sun began to rise, the skies were brilliant. And, it was great to see so many people stopping what they were doing to take in the sight. Okay… so Tommy has taken to posting an “I want” each Wednesday. These blog entries show a corkscrew that he would really like to have, and thus far, at least one of his “wants” have been satisfied. Through a trade, he got the figural mouse corkscrew that he was recently after. 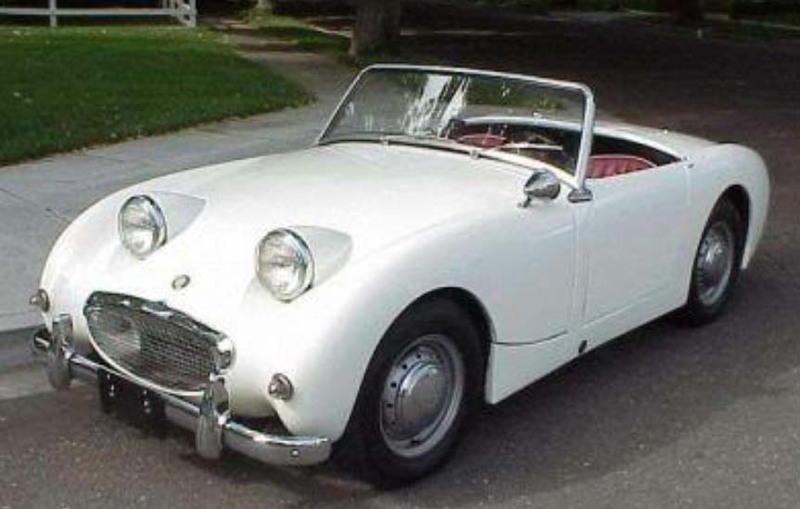 And, while it isn’t Wednesday, if anyone happens to have a 1959 Austin Bugeye/Frogeye Sprite with which they would like to part, preferably with an Obstando in the glove box, I would be interested in making a trade for it. I had the same car when I was 19–without the corkscrew in the glove box–and really WANT another one. 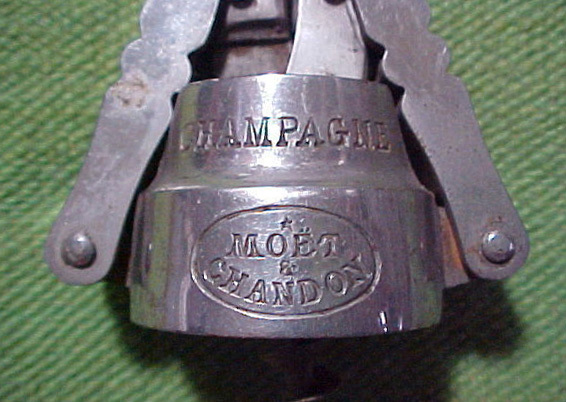 It would seem that with New Year’s upon us, a little Moet is in order. 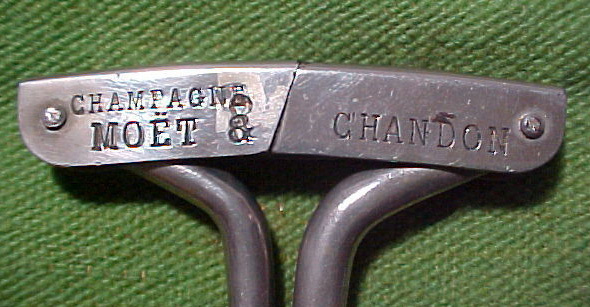 And, as luck would have it, yesterday a seller and I came to an agreement on a French version of the 1903 Georg Hausmann German registered corkscrew marked MOET & CHANDON. I have long wanted one of these in nice shape, and this one looks to be pretty awesome, with only a little finish loss. 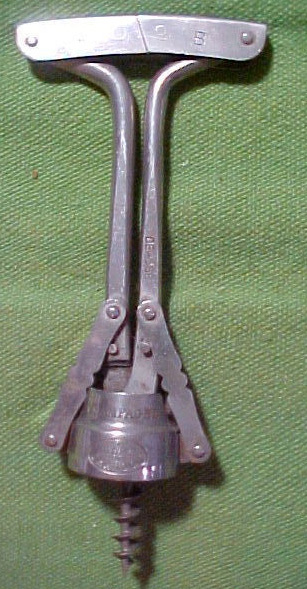 Ferd’s book on Mechanical Corkscrews explains, that there were 4 different versions made in France with modifications over the years. The oldest is said to have, “…two projection stops (pins) fixed to the levers”(Peters, 1999, p. 202). The version that will be arriving on the island, looks to have those pins. Definitely a nice corkscrew to add to the collection. Well, after reading Tommy’s blog, it would seem my suspicions have been confirmed, and it was RL who procured the “Will and Tuck” (Will and Finck) corkscrew. 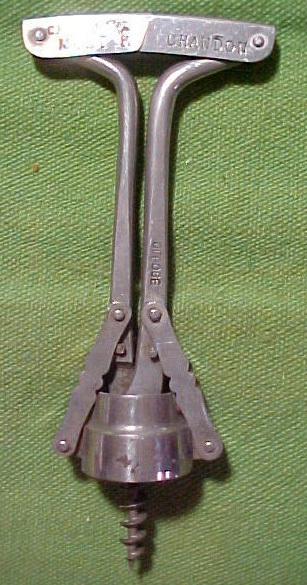 Meanwhile, a deal was struck with a well-known breweriana collector, for another Gottfried-Krueger advertising corkscrew. For those wondering about the the blizzard on the North East, it ended last night at around 7 pm for us, however the wind kept howling–with gusts up to 60 mph through the morning. A short power outage during the evening, but other than that just loads of beautiful snow. Well, it has happened again. 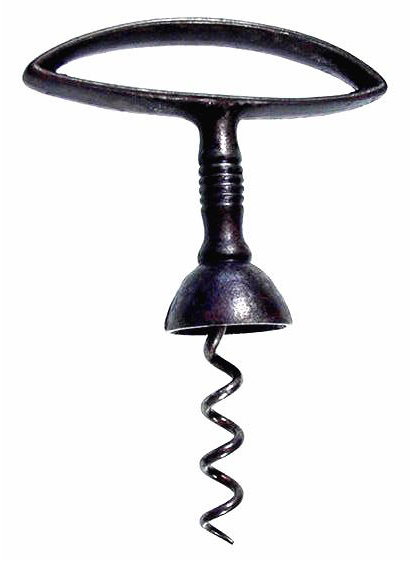 A nice San Francisco made corkscrew has disappeared off of eBay. 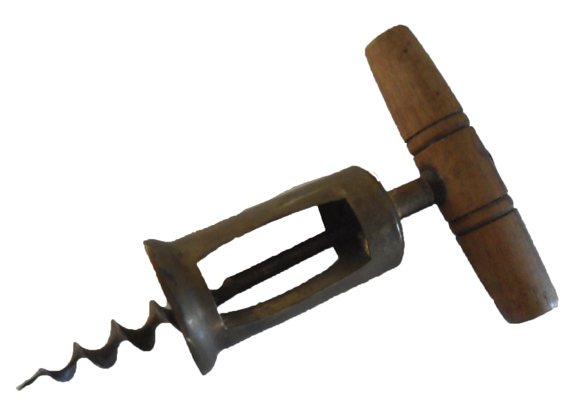 The corkscrew, listed as “ANTIQUE ENGLISH IVORY HANDLE CORKSCREW MARKED 1800s!! !” And, in the listing mistakenly described as being marked “WILL & TUCK”, instead of WILL & FINCK suddenly vanished off the ubiquitous site today. And, while no one has ‘fessed up as to striking a deal with the seller to end the listing and sell it off line, it is pretty clear that is what has happened. I would love to post a photo of the corkscrew here, but as mentioned above it vanished. Gone without a trace! Now, I have a sneaking suspicion as to who the scoundrel is that helped to facilitate with its disappearance…but for the moment, they shall remain nameless. If you do, please email me at josef@vintagecorkscrews.com . 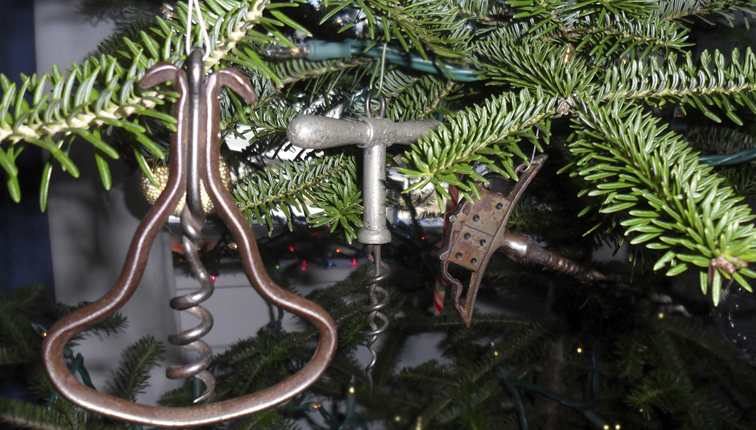 Heck, email me if you have any Frary corkscrews with which you would like to part. I would love to be posting a new and exciting corkscrew find here, but the focus has definitely been on the renovation of the new house as of late. We will be installing the window that overlooks the harbor on Thursday, and if the rough-in of the plumbing is complete, will start sheetrocking the walls shortly after that. At the ICCA Annual General Meeting this year, John Morris gave a great presentation on “The little things that make a difference.” Through his presentation he provided examples of corkscrews that changed over time, whether a departure from the original patent, a change–or addition–that may have been made in production, or alternatively changes in materials. 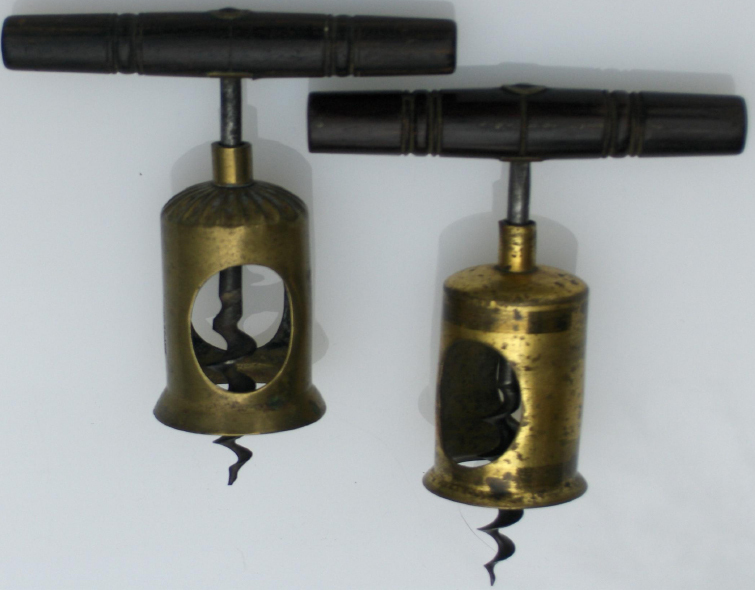 In essence, when you pick up a corkscrew, and you say, “oh, I already have this…” You may want to double check, as you may have actually picked up a similar corkscrew that is distinctively different. And, as mentioned the other day, I believed that there was a Chinnock patent in the lot that I picked up on eBay. 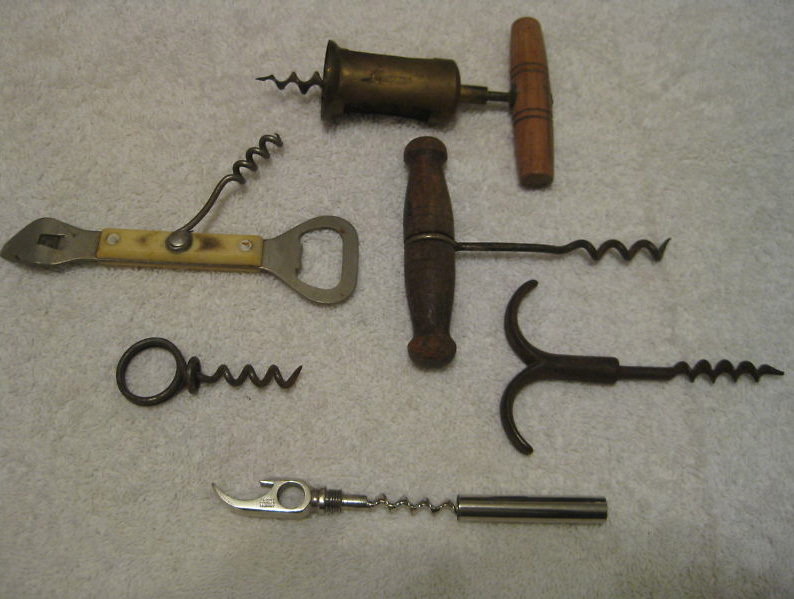 And, the corkscrew lot arrived today. I expected the Chinnock to be similar to the barrel example that I already have in the collection, however… It is quite different, but not only in the way that the top of the barrel is formed. Instead the opening is square instead of round. The little things, do make a difference. And, this one is definitely staying in the collection. It may even make the best 6 for 2011! 750 sq. feet of Hemlock milled from the salvaged pilings of the Fore Street Bridge in Quincy MA, 700 square feet of cedar shingles with bleaching oil, and a 10 foot by 4 foot casement window found their way into back of a rental truck yesterday, and this morning I got the truck over the island. No corkscrews were found, however. At least not in my travels. Tomorrow, I head back to the mainland to return the truck, and seek out some soapstone tile for the bathroom in the new house. It is really coming together!